Nintendo will host a Super Smash Bros. 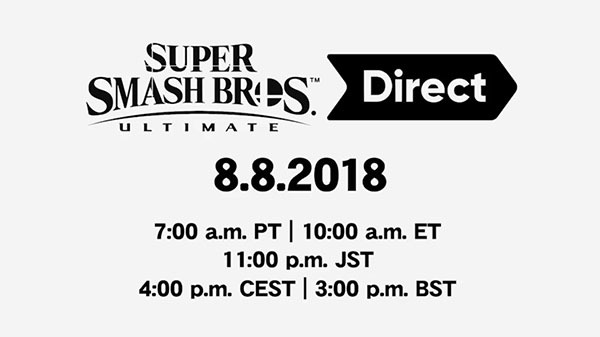 Ultimate Direct on August 8 at 7:00 a.m. PT / 10:00 a.m. ET / 3:00 p.m. BST / 4:00 p.m. CEST / 11:00 p.m. JST, Nintendo announced. The broadcast will feature new game information delivered directly by game director Masahiro Sakurai.